A carved moulding of French style acanthus leaves forms the cornice while two carved paneled doors flank a side table and mirror. The hand carved side table can be made in different sizes, is optional, or can be adapted to become a desk. The whole elevation is of wood with typically styled French hand carved panels. Hand wood carved acanthus decoration to French mirror frame with acanthus moulding. 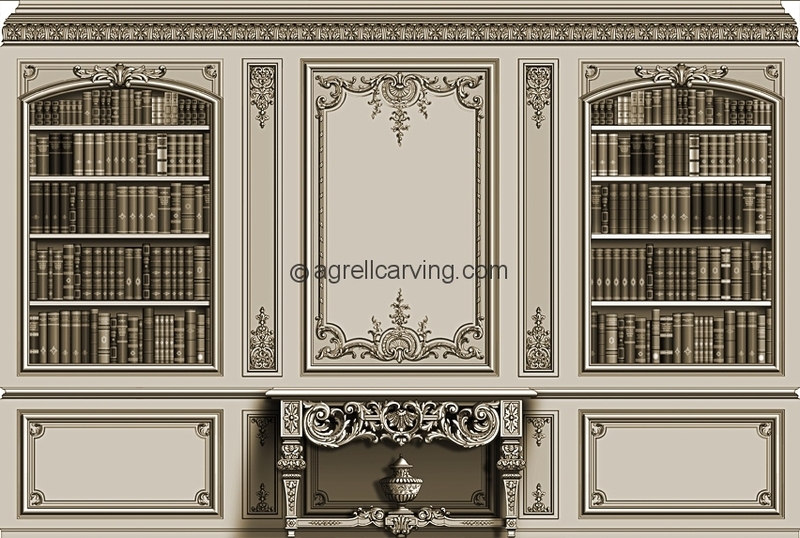 Two bookcases are placed on either side of the beautifully carved central panel with an optional but luxurious table that can be adapted into a desk. Further bookcases can be placed in other parts of the room to make this space a library - or removed altogether to create a bedroom - with a French styled bed and side tables possibly? A French styled side table and mirror matching the north elevation are placed between glass doors which are crowned with French style valances. The window treatment can be supplied by us if desired. The whole elevation is of wood with hand carved wood panels and acanthus cornice. Beneath the wood carved acanthus cornice the complete elevation is decorated with exquisitely hand carved French panels. 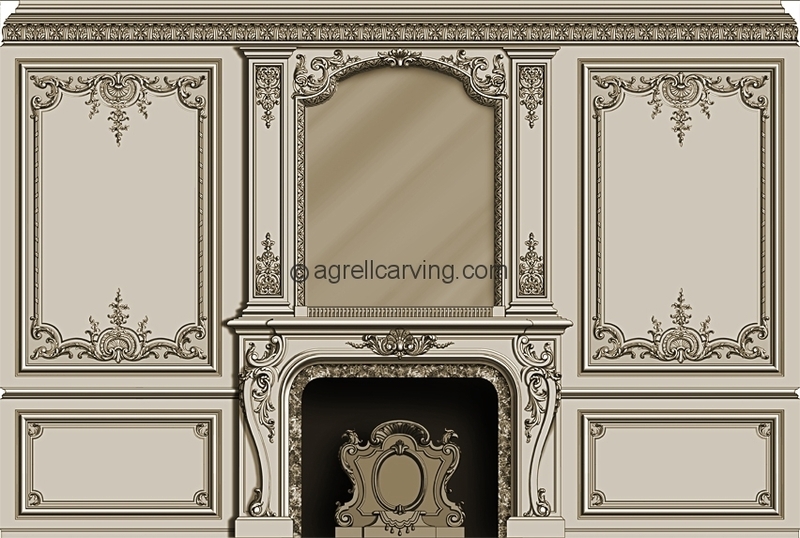 The French style fire surround can be flat or in a Bombay shape and especially carved in wood or marble. And with the help of modern science, the overmantel can conceal a television behind the glass mirror - press a button and the television can be seen through the mirror - all part of the service! decoration hand carved in wood.